SEO is a rapidly important aspect to your website, it is important to make your website easy for both visitors and search engines to understand. Over the last few years Search Engines have become more and more sophisticated, and in that sophistication algorithms change constantly. In this article I will discuss some important topics about Search Engine Optimization, we've also included a great freebie at the end of the article for you; a Free SEO Analysis on your website, typically an $800 value. Gone are the days of picking out specific sets of keywords, and a focus on the content has become more apparent. The true fact is that humans don't just search on a specific word or set of words. We tend to gravitate to sentences that we build to find solutions to a problem. For example, a recent search I did personally was in regards to a toilet in my house that makes a dripping sound. The example is pretty simple, I didn't search for Dripping Toilet. I'm sure if I did, I would not of found a solution nor found it quick (time is a value to me so I don't want to be searching for hours). I simply typed into google "Why does my toilet make a drip drip sound?". Google has gotten pretty smart over the years, as have the other search engines, really quick I found a few D.I.Y articles that were similar in nature, but didn't fully help me find a solution. But they did lead me in the right direction. Not only did I get a bunch of D.I.Y articles, Google gave me YouTube and Vimeo videos that I was able to watch and see if my problem was similar. It also gave me contact numbers to local plumbers in my area. I have Geo Location enabled on my computer so, it really narrowed down the list. The point here with this example is that with good Search Engine Optimization on your website you can be that trusted resource that visitors find quickly and of value. More often than not when we talk to our clients about SEO, their eyes glaze over, and for good reason. Search is not an easy thing to tackle, and to understand how it all works together gets even more complicated. Our clients also receive an over abundant amount of emails from SEO providers, guaranteeing them the number 1 ranking on Google. Let me debunk that myth right there, it's almost nearly impossible to get a number 1 ranking today out of the gate. Sure they can get you there with a few hacks here and there to your site, but you won't stay there very long. Like I mentioned earlier Google is smart, and it has cracked down hard on these methods harshly. So far as to remove or block your website from Google Search results altogether. 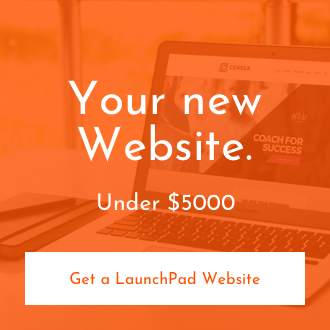 "My Website Cost me $3000, and I get little to no business from it". "Search Engine Optimization is a process just like any other that takes an investment of time over time. You need to constantly be at it, by producing valuable content and increasing your overall presence." What it boils down to is rather simple, it takes time and effort. Apple, Nike, Google, all of these major corporations weren't number one in a day. They produce regular content, or enthusiasts do in abundance, and that is why they rank high. All the avenues that we collect and distribute content are connected, and Search is a part of that. If you want your company or organization to be out there and the world buying from you, they have to be able to find it. The if you build it they will come mentality is only part of the bigger picture. One pitfall, as I mentioned earlier is that people just don't understand what SEO is, and what it does. So Chirp Media, Inc. is currently conducting a survey to help understand where the knowledge is and isn't. It should only take you a few moments to fill out, and as a reward we are providing you with a Free SEO Analysis on your website, typically an $800 value. Sounds like a great deal, am I a right?